NSSCDCL Recruitment 2018 Notification Published for 46 General Manager, Project Manager, Project Executive, Computer Operator and other various vacancies. Apply through online for Nagpur Smart City Recruitment 2018 from 20th January 2018 to 5th February 2018. Get complete details regarding NSSCDCL Computer Operator Vacancy 2018 from below sections. NSSCDCL Recruitment 2018 Notification released by Nagpur Smart and Sustainable City Development Corporation Limited with Advt No. 01/2018. NSSCDCL a jointly owned company by Nagpur Municipal Corporation and Government of Maharashtra set up for implementation of Nagpur Smart City Project. The board invites applications from dynamic and desirous aspirants to fill 46 various job openings on contractual basis for the implementation of the Project. The posts included in the Nagpur Municipal Corporation Recruitment 2018 Notification are General Manager, Project Manager, Computer Operator, Programmer, System Analyst, Cheif Knowledge Officer, Special Duty Officer, Accounts Officer, Legal Assistant, and Superintendent. So, interested candidates who meet the eligibility criteria can apply for NSSCDCL Recruitment 2018 through online. The commencement of online applications starts on 20.01.2018 and closes on 05.02.2018. For more information regarding Napur Smart City Recruitment 2018 like eligibility, selection process, how to apply, etc. check the following sections. The applicants who wish to apply for NSSCDCL Recruitment 2018 firstly need to ensure their eligibility conditions through following sections, i.e., age limit and educational qualification. The aspirants should possess following educational qualification to apply for Nagpur Smart City Recruitment 2018. Refer official notification for post wise qualification. General Manager – Post Graduation in Urban Mobility/ Environmental Science/ M.Tech/ M.Arch/ IT and ten years experience or Graduation in Civil Engineering with 15 years experience in relevant field. Project Executive – Post Graduation in Urban Mobility/ Environmental Science/ Infrastructure Management/ IT with two years minimum experience in relevant field. Computer Operator – Graduation in Information Technology/ Computer Science or its equivalent with two years experience in relevant field. The applicants having following age limit are only eligible to apply for NSSCDCL Recruitment 2018. The aspirants applying for NSSCDCL Recruitment 2018 can check the following sections for more details like important dates, application fee, selection process, and pay scale. The aspirants who got selected through NSSCDCl Recruitment 2018 get attractive pay scales as per the rules of the company. The pay scale varies for each post, hence check official notification for post wise salaries. The selection process of NSSCDCL Jobs 2018 is as follows. The candidates applying for Nagpur Smart City Recruitment 2018 need to pay following fee which can be paid either through online or offline. 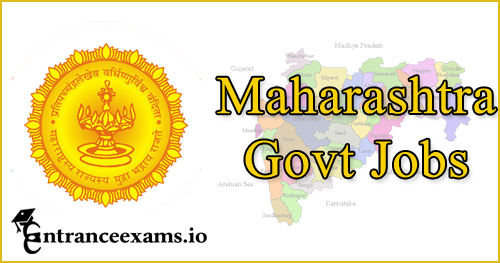 Firstly, open the apply online link of NSSCDCL, i.e., maharecruitment.mahaonline.gov.in or directly click on the link attached below. On the homepage “New User Registration,” enter the details and click on “create user” button. Now select the link “Click here for Application” and select the post you would like to apply. Fill the details in the application form like personal, educational, experience, etc. details. Then upload the required scanned documents and proceed to pay the application fee. Finally, take a print of Application form for further use. Hope the information provided here is beneficial to you. In case of any clarifications check the official NSSCDCL Recruitment 2018 Notification by the attached link below. Follow Entrance Exams page for Latest Employment News.